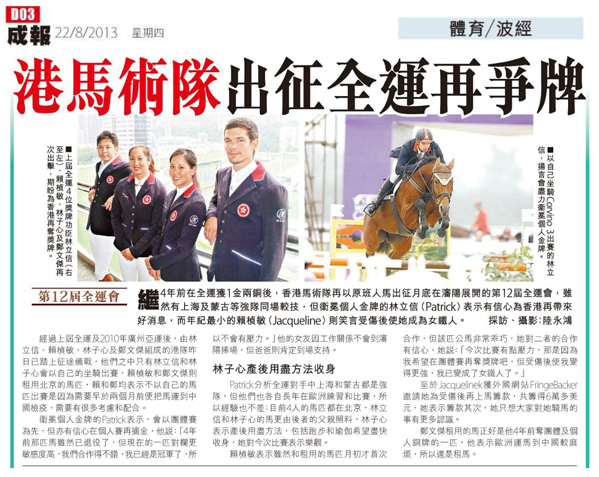 The Hong Kong Equestrian Federation officially announced that FringeBacker-funded Equestrian Gold-Medallist Jacqueline Lai will represent Hong Kong as one of 4 equestrians at the 12th National Games in Shenyang, Liaoning from 2nd to 11th September 2013. 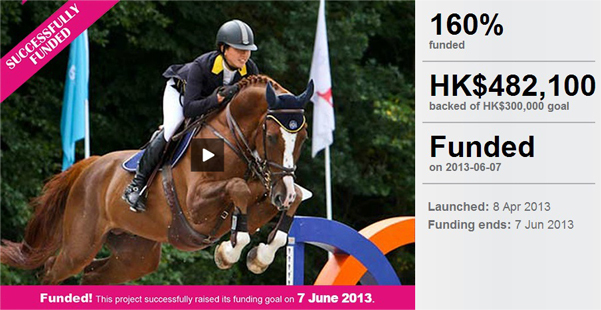 This is the first time a publicly-crowdfunded athlete has been selected to compete in the elite Games. Congratulations to Jacqueline and her team! 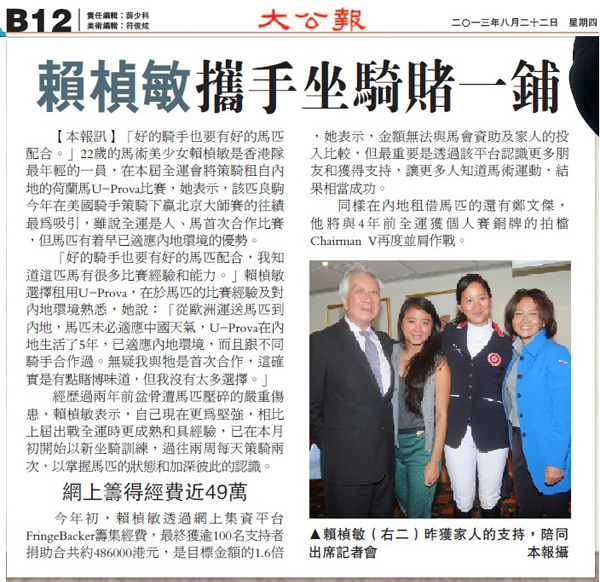 Jacqueline Lai's Equestrian Showjumping campaign has successfully raised an impressive HK$482,100 (US$62,200), the highest to date on FringeBacker. Breaking all of FringeBacker’s fundraising records and setting the world’s crowdfunding record for a sportsman, Lai’s campaign has ended on 7 June, becoming probably the world's largest by an international athlete. With her campaign successfully funded, Jacqueline will be focusing on the outdoor season and readying herself for competitions, including the 12th National Games in September 2013.